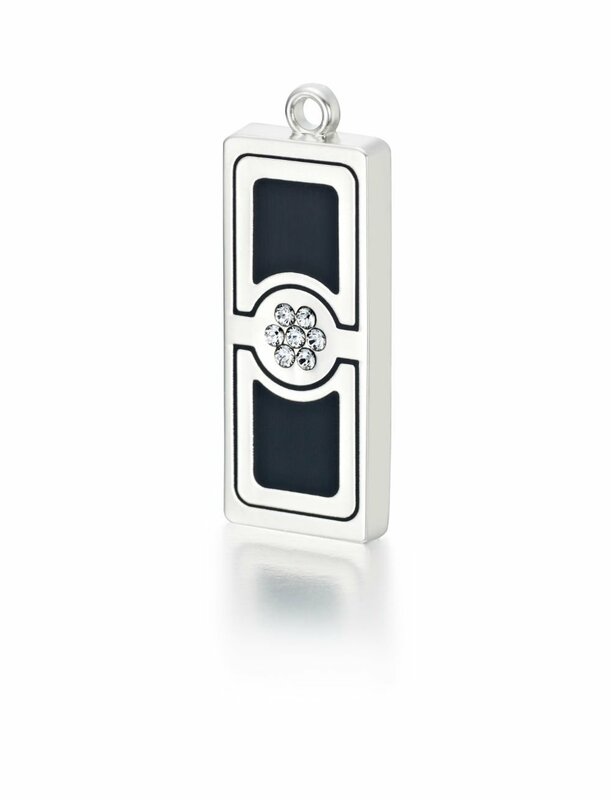 Platinum plated luxury jewelery USB with inserts of Ebony stone, featuring 6 centrally located SWAROVSKI cut crystals. 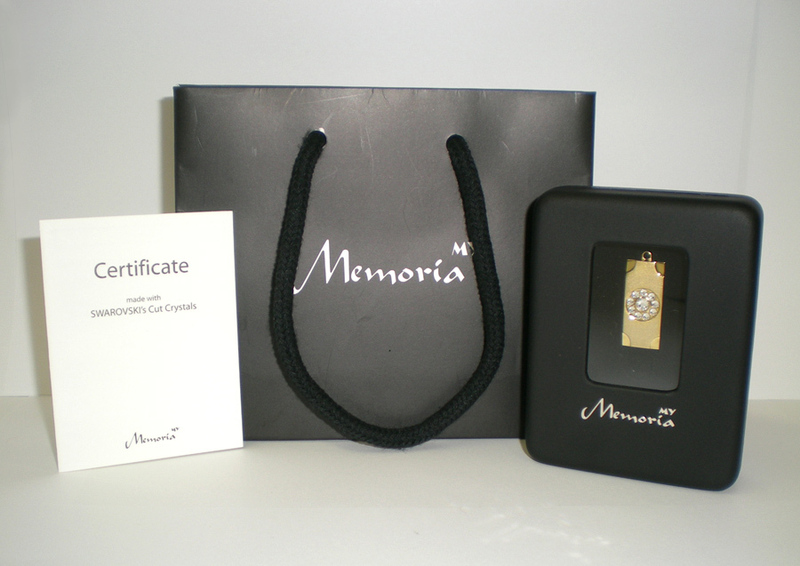 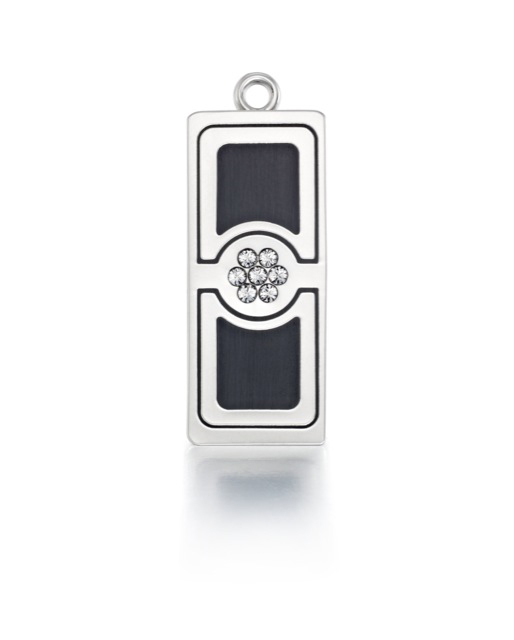 Packed neatly in a black gift box with platinum plated phone chain/keychain included. 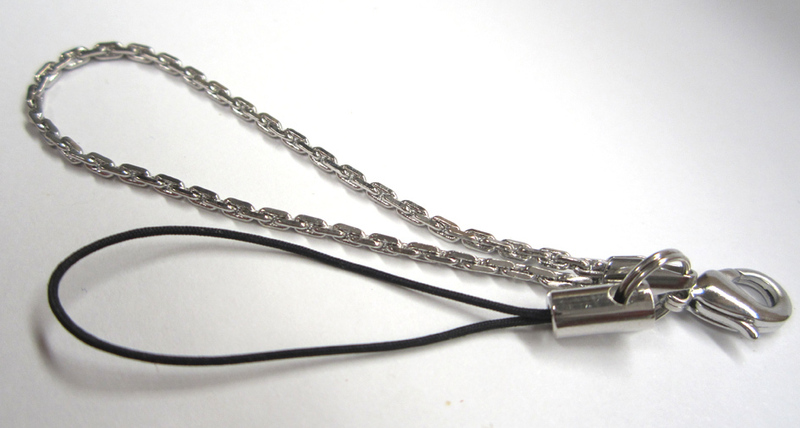 Weighs less than 5 grams.